Former Survivor castaways and The Amazing Race couple Rob "Boston Rob" Mariano and Amber Mariano have welcomed their fourth child into the world. Rob "Boston Rob" Mariano could soon have four little girls or his very first baby boy in the family. Reality TV couple Rob and Amber Mariano have added a new member to their alliance: a baby girl. Fourteen reality television shows received a total of 39 nominations in today's announcement of the 59th Annual Primetime Emmy Awards nominees -- with the number of shows and the amount of total nominations representing the highest ever for both. Last week, Rob Mariano announced that he will serve as the host of Tontine, a new reality competition show that will take place over 100 days on seven continents and reward its winner with the biggest cash prize in the history of reality television -- $10 million. Although it doesn't appear to have a broadcast network yet, Rob Mariano has pulled the wraps off the "huge" new reality project he first began teasing in March. Mariano has announced he will serve as the host of Tontine, a new reality competition show that will award one contestant with "the biggest cash prize in the history of reality television -- $10 million." With their romantic relationship already on the rocks, The Amazing Race: All-Stars was apparently the kiss-of-death for winners Eric Sanchez and Danielle Turner. Love them or hate them, cousins Mirna Hindoyan and Charla Baklayan Faddoul at least deserve a tip of the cap for being the third team to cross the finish line during CBS' finale of The Amazing Race: All-Stars. Dustin Seltzer and Kandice Pelletier were looking to become the first all-female team to ever win The Amazing Race when they signed-up for All-Stars on the heels of their fourth-place finish during The Amazing Race's tenth season. Eric Sanchez and Danielle Turner finished in first for only one leg of CBS' The Amazing Race: All-Stars. Luckily for them it was the thirteenth and final leg, as they were the first team to cross the finish line of The Amazing Race's eleventh installment during last night's finale to claim the $1 million prize. After 28 days, five continents and more than 45,000 miles, Eric Sanchez and Danielle Turner were the first team to cross the finish line during last night's finale of CBS' The Amazing Race: All-Stars, making the pair -- who had never previously raced together as a duo -- the winners of The Amazing Race's eleventh installment and its $1 million grand prize. Oswald Mendez and Danilo Jimenez finished fourth during The Amazing Race's second season, and unfortunately for them, the best friends didn't fair much better during the reality competition series' All-Stars' edition, as they once again just missed out on the Top 3. It was deja vu all over again for Oswald Mendez and Danilo Jimenez, who just like during The Amazing Race's second season, finished in fourth place during CBS' The Amazing Race: All-Stars. "For The Second Week In A Row," our episode summary for the eleventh episode of The Amazing Race: All-Stars, the eleventh edition of The Amazing Race, written by samboohoo, is now available. Eric Sanchez and Danielle Turner managed to overcome being both "marked for elimination" and yielded for the second time during last night's broadcast of CBS' The Amazing Race: All-Stars. Instead, fellow racers Oswald Mendez and Danilo Jimenez became "marked for elimination" when they were the last team to arrive at the eleventh leg's Pit Stop. "Every Bunny was Kung-Fu Fighting," our episode summary for the tenth episode of The Amazing Race: All-Stars, the eleventh edition of The Amazing Race, written by strid333, is now available. Eric Sanchez and Danielle Turner were the last team to arrive at the ninth leg's Pit Stop during last night's broadcast of CBS' The Amazing Race: All-Stars, however the duo wasn't sent packing just yet as they were pleased to learn they had encountered one of the competition's non-elimination legs. "Dirty Pirate Hookers Do Malaysia," our episode summary for the ninth episode of The Amazing Race: All-Stars, the eleventh edition of The Amazing Race, written by emydi, is now available. 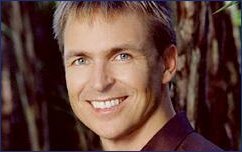 Longtime The Amazing Race host Phil Keoghan is reportedly teaming with the Canadian Broadcasting Corporation to develop a new No Opportunity Wasted-like reality series that will give America's northern neighbors their own opportunity to live out their dreams.